My husband recently used an activity I designed a few years ago to teach Year 8s narrative structure and the balance of events and details in a story. It uses this handout to illustrate the idea, and students seem to react well to it and it really clicks with them. My husband had great success, and I felt a bit chuffed, so it seemed like an activity worth sharing. For this particular unit, the students are aiming to write a Quest Story, and a great example of this is Finding Nemo. It has all the elements of a quest, and a clear narrative structure, so it serves well for establishing the parts of a narrative. A Quest Story is one of the seven basic plots. 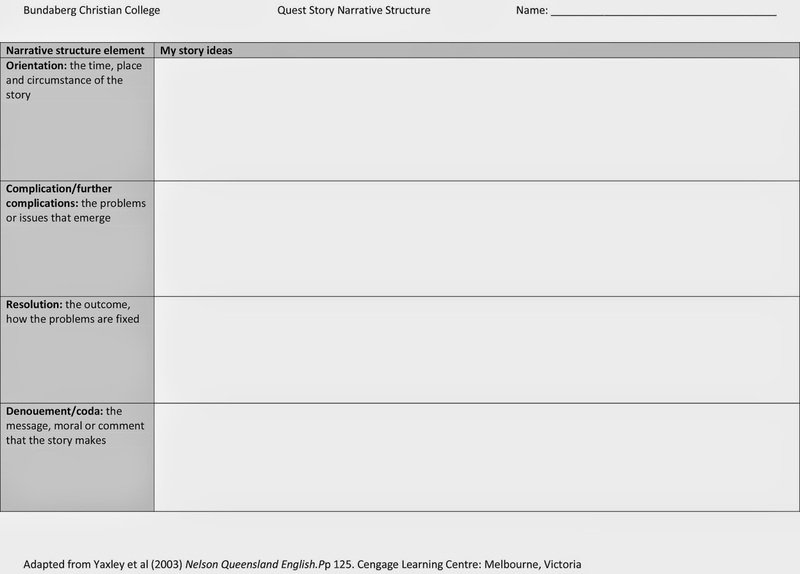 As you discuss narrative structure, you can quickly come up with your own example with the students' help, and then use the narrative structure handout and have students write out the elements of Finding Nemo, or whatever existing you choose, into the table in order for them to demonstrate that they can recognise and organise narrative structure. This is an activity we do early in the term so that students understand the important of planning, structure and balance before they get too involved in planning or writing their stories. 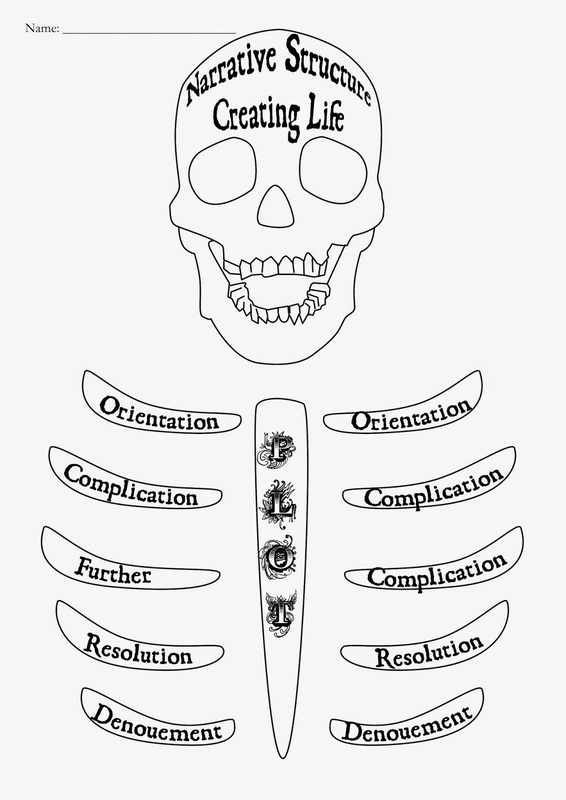 Students who struggle with writing will understand they need to do more than just list a bunch of 'bones', and students who often go overboard (often these students don't plan their stories) will understand that they need to scale back their extra fun scenes if it's making their story too 'fat'.